GMG Radio is extending its regional Smooth Radio network to become a national service in England with the loss of up to 50 jobs, following changes to legislation in the Digital Economy Act. From 4 October, the national Smooth Radio service will broadcast on the Digital One national DAB multiplex and Freesat, Freeview and Sky, as well as broadcasting on its existing five regional FM licences in England. The FM broadcasts will retain regional news, traffic, travel and weather and still serve local advertising sold by the local sales teams, though the East Midlands team will be located with the West Midlands team in Birmingham. The Digital Economy Act allows large regional analogue stations to request to drop their regional programming in exchange for providing a national version of their service on DAB in order to encourage UK-wide services. The national service will be broadcast from Smooth Radio's headquarters in Manchester and it is understood that up to 50 members of staff could be affected by the changes from the programming, news and support services. A spokesman for GMG Radio said it will try to help relocate them where possible. The local Smooth station in Glasgow and the West will retain local programming at breakfast, late morning and drive as the Digital Economy Act does not allow networked programming across the UK. Stuart Taylor, chief executive of GMG Radio, said: "The future of radio is all about establishing strong brands, available across multiple platforms, and the future for Smooth is as a truly national station. "This deal with Digital One will enable Smooth to develop into one of the strongest names in UK radio. "We regret the impact this will have on our people, but this new approach means Smooth Radio will be even better placed to serve its listeners and advertisers, more cost-efficient as a business, and in prime position for the digital future. There are commercial positives for the market." The five current regional Smooth stations are in the North East, North West, London, East Midlands and the West Midlands. 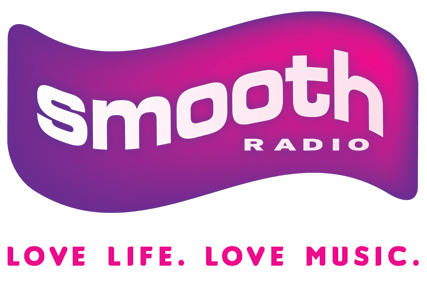 The Smooth Radio network reached 2.7 million people a week in the first three months of this year, according to audience measurement system Rajar, down 5.9% year on year and 2% quarter on quarter. Last week Global Radio announced it was to use the changes to Digital Economy Act to condense 34 local stations in to 15 larger Heart stations and switch its 26 station Gold to a national service. In May, GMG Radio applied to Ofcom to drop the requirement that the Smooth Radio stations broadcast 45 hours of specialist jazz programming in return for providing 12 hours of specialist music programming during peak time. A consultation on the proposals closed on Friday (25 June) but Ofcom is yet to publish its decision.